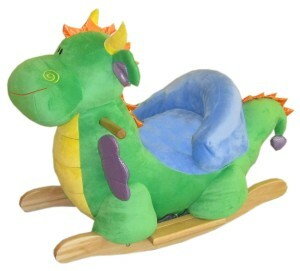 Hang on I thought, there’s lots of rocking horses out there, but are there any rocking dragons. A simple search and I got my answer, Heunec, maker of lots of rocking horses – and non-rocking ones too – produce a rocking dragon. Now beware though there is only one left on the site but he is quite cute and if you can’t find him then just click on this Heunec link and there’s plenty of rocking horses and other lovely soft toys too. Actually honestly though, there was only one reason I posted this up and that’s because there’s a rather super and gruff looking “Puss in Boots” that they make too. As I don’t have a “Kitties for Kids” site (hey that’s not a bad idea) I thought that posting up this rocking dragon would give me a good excuse to post up a picture of the grumpy looking pussycat too. 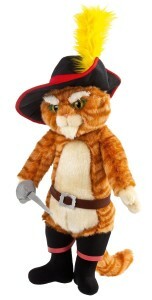 I do think that if you appreciate a good dragon you have to appreciate a swashbuckling cat in boots.